The Special Investigation Unit is a secret force of specialists in various fields. The unit is under the direct control of the head of the Tokyo Metropolitan Police Department�fs Security Bureau. 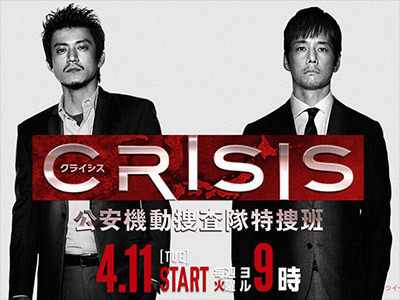 Its members include investigator Inami Akira (Oguri Shun) who sustained serious trauma in a special mission during the time he was in the Self-Defence Forces; and Tamura Saburo (Nishijima Hidetoshi) who was ordered to transfer from the Public Security Department�fs Foreign Affairs Division in the wake of some incident and was later picked out by the Special Investigation Unit. These men will find themselves confronting irregular cases that will shake up the country. Could have been great if the action scenes wouldn't have been so ridiculous - see first ten minutes. Some of my favourite actors are in it and I am happy with their performances but I feel the script needed toning down and polishing. If they had made it slightly cleverer it could have been a great action series. Good storyline, some real good fight scenes. It appears Shun Oguri has finally escaped from his fangirl heart throb roles to those of a full blown adult now. Not a fan of the Jdrama or Kdrama action genre and hence the lower rating. Great dorama, action one, although the last part was not the best one. good drama which let me hope for a sequel.